We appreciate the attention they have for the client requirements, the pleasant and skillful assistance, the organizational set up. For all these reasons we keep on trusting on Greeshields Project Cargo services and cooperation also in the future. Loredana Lualdi – Administration Manager – BONO Energia S.P.A. It is deemed one of the most reliable freight forwarder used by our company. We jointly planned multimodal shipments of our own projects destined to Kazakhstan, Tunisia, Iraq as well as a lot of shipments of generators forwarded worldwide. In these years of experience we always got the availability, courtesy, efficiency as well as the skill for planning the services and problem solving in any event met in the routing upto final destinations even if hard and difficcult to reach. The results have been good. It is why we work and we’ll continue working with Greenshields Project Cargo. 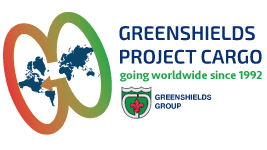 For several years we have been working with Greenshields Project Cargo Srl and let them carry out our shipments by sea worldwide. We are really satisfied of the rapid, reliable and efficient service, and of the competent and helpful personnel, which is always careful to customer’s requirements. the fitting solution and best service compared with the price thru their continuous support. to optimize the costs and to get competitive prices for transportation and logistics services. I work with several companies, but let me say I find in Greenshields Project Cargo the proofessionalism, reliability, availability I deem as unique.